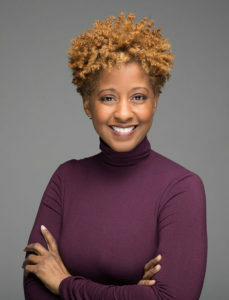 Constance Cromartie is a Licensed Professional Counselor specializing in individual, adult, youth and family therapy and maintains a private practice in Roswell, Georgia. With over ten years experience as a professional therapist, and as a graduate of James Madison University specializing in Community (Mental Health) Counseling she is currently serving as private practitioner working with a broad spectrum of clients. Among her areas of expertise are life transitions, pre-marriage and couples' counseling, geriatric / elder concerns, movement and dance therapy, and conflict resolution. In addition to seeing clients, Constance also provides clinical supervision for Associate Professional Counselors and Counselors in route to Professional Licensure. Constance is a prominent relationship therapist and has presented on International platforms, including a recent visit to the Republic of Kenya, East Africa, and to general audiences speaking on the topics of family systems therapy and health crisis counseling. Constance is an interactive, solution-focused, Cognitive Behavioral therapist. Her therapeutic approach is to provide support and practical feedback to help clients effectively address personal life challenges. 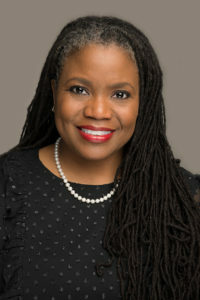 She integrates complementary methodologies and techniques to offer a highly personalized approach tailored to each client. With compassion and understanding, she works with each individual to help them build on their strengths and attain the personal growth they are committed to accomplishing. Tammy von Nordheim graduated from Georgia State University in 2004 with a BA in Psychology. She is currently set to graduate from Walden University in 2018 with a Masters in Social Work and a 3.8 GPA. Recognizing that the world needs more social change, individual empowerment, and youth guidance, Tammy is focused on the process of mental health wellness. Tammy prefers using the following therapeutic approaches, Cognitive Based Therapy, Evidence Based Therapy, Mindfulness, Emotion Focused Therapy, Reality Therapy, and Motivational Interviewing to help clients successfully reach goals. She is also a Certified Anger Management Specialist, a Certified Theft and Addiction Specialist, and is currently interning as a Therapist in a private practice. During her first internship, Tammy worked for a community-based agency attending to the mental health and societal issues of clientele who were at the mercy of the “system”. She is hoping to balance her experience while supporting individuals in a private practice setting. Passionate about women’s empowerment, Tammy founded a group called Girl in the Glass in an effort to reach women where they are in life and helping elevate them to where they’d like to be. She inspires clients to trust, receive and believe in their ability to live in their truth empowering them to new heights. People often look for validation and approval from parents, spouses, friends, etc.—forgetting to listen to their own voices. Tammy challenges clients to expand their mindsets and embrace who they are meant to be by amplifying their inner voices that say, “I can do this!” Tammy also started a non-profit called “I Empower Me, Too, Inc” that connects with Men, Women, Teen Boys, and Teen Girls, to teach them self discovery and how they can be a part of the solution in curating a meaningful life for themselves. Tammy helps to identify issues, teach coping skills, and implement plans to support self-empowerment of the individual which will ultimately cultivate a positive shift in perspectives.